Here at XDA-Developers, we are developers at heart—it says so in our name. Because of this, we love tweaking our phones and creating widgets, themes, kernels, hacks, exploits, and more for our mobile devices. We also love apps. The journey to app development is a long, but enjoyable trek. So if you’ve ever wanted to start app development, there are resources for you. XDA Forum Member Rheti offers up an application that allows you to start developing an app of your own. 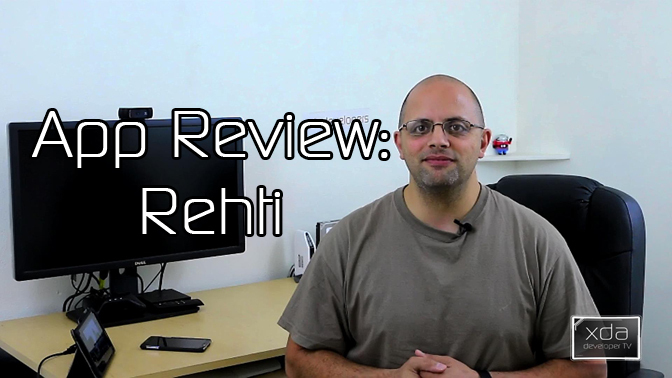 In this video, XDA Developer TV Producer TK reviews Rehti. TK shows off the application and gives his thoughts, so check out this app review.